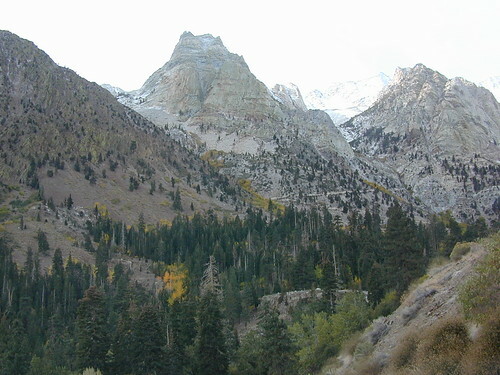 Eastern Sierra Peaks, a photo by totalescape.com on Flickr. Mammoth Mountain just announced opening day for skiing in early November 2012. Temps are dropping each night and autumn colors are the next big show. Eastern Sierra aspen groves can be seen as far south as Whitney Portal near Lone Pine, and as far north as well, Tahoe of course. Great camping and fishing near June Lake, Bridgeport, and Hope Valley. Fall is also the season for viewing meteor showers for those campers who love to stargaze.